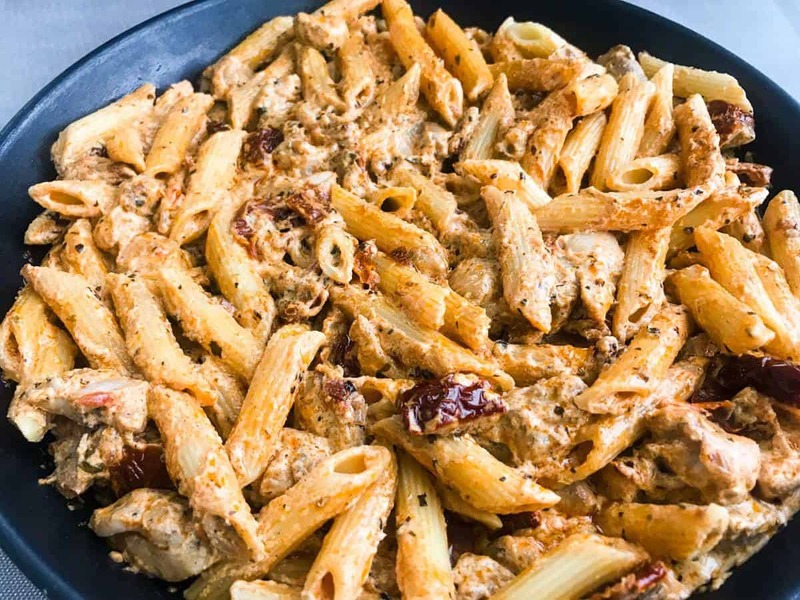 This Creamy Sun-Dried Tomato Chicken Pasta with Crème Fraiche is quick & easy to make and full of flavor and rich creaminess, all set to become one of your new favorite dishes! This recipe didn’t turn out at all as planned. Don’t get me wrong. It’s absolutely delicious. So delicious in fact that it’s now a vital part of my repertoire. But it’s not at all what it was supposed to be. The truth is, I was trying to make an international version of my old tried and tested and made over and over again chicken pasta with feta cheese and basil. I say “international” because I usually make it with two kinds of seasoned crème fraiche, and I am quite sure that even if you could find that outside of Scandinavia (can you even?) they’re probably not the same flavors or at least not the exact same taste. But I love my chicken pasta with feta cheese and basil so so much that I knew I had to make a blog version, just for you. And so I did. Or, well, I planned to. I got all my spices and crème fraiches and chickens and pasta together and started cooking away. But then somewhere halfway (or, what I thought was halfway) I tasted it and it was already so so so good. And I hadn’t even added the feta cheese! Or the basil! Or the tomatoes! So then I thought: Maybe less is sometimes more? Maybe you don’t need the feta cheese or basil or tomatoes for this? Maybe fewer ingredients is actually better? And then I thought: But what about that remaining half jar of sun-dried tomatoes… More sun-dried tomatoes is DEFINITELY more. And so I proceeded to chop up the remaining sun-dried tomatoes and called it a day. 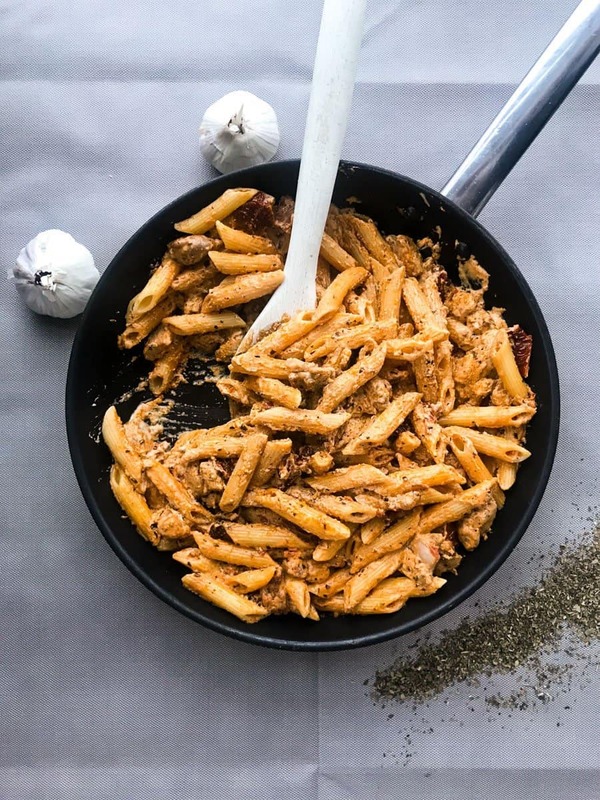 And that was the birth of the creamy sun-dried tomato chicken pasta. Did I mention it’s delicious?! The salty sun-dried tomatoes mingle so perfectly with the acidic crème fraiche, and the tomato purée adds a nice roundness and a punch of umami. There is so much flavor, and all from so few ingredients. It really is a quick & easy dish with all the flavor and none of the fuss. I’m feeling this would make a perfect Friday night dish, don’t you? 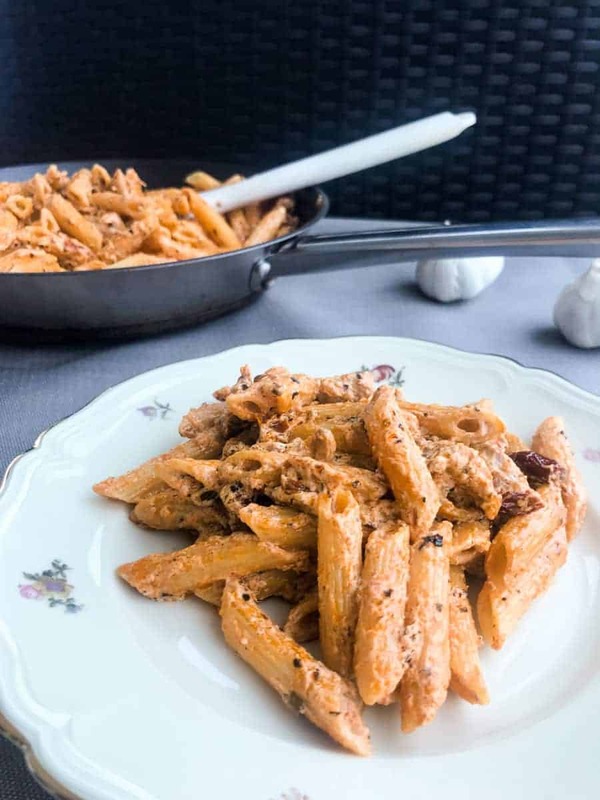 If you make this Creamy Sun-dried Tomato Chicken Pasta with Crème Fraiche, please be sure to leave a comment and/or give this recipe a rating! I love to hear from you and to see your versions of my recipes – that’s why my favorite thing ever is when you tag me on Instagram whenever you show off your creations! Melt the butter over medium heat and season the chicken with salt and black pepper. Place garlic in pan and cook for 1 minute. Add in the chicken and cook until just cooked through, 5-6 minutes. Meanwhile, start cooking the pasta. Remove the chicken and set aside for now. Place the pan back over the heat with the melted butter, chicken juices and garlic still in it. Add in tomato puree, dried basil, paprika powder, onion powder and oregano and mix well. Cook for 2-3 minutes and then remove the garlic cloves. Add in the creme fraiche, sun-dried tomatoes and black pepper and mix well. Bring to a boil and cook for 3-5 minutes. When the pasta is 1 minute from full cook time, drain and add in to the crème fraiche sauce together with the chicken. Mix well and cook for 2 minutes. After 2 minutes, taste and season as desired with salt. Serve! I love how creamy this dish comes out. Perfect for any night of the week when you are craving a delicious comforting dish. Thank you for commenting! Yeah I was really happy with it – constant cravings for it now haha. 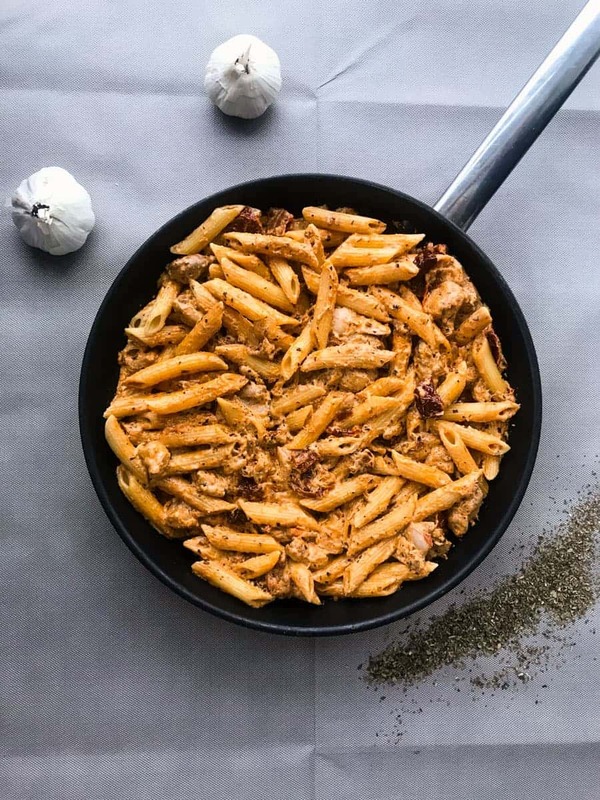 I love pasta and this recipe looks really delicious! This is my kind of pasta dish!! Creme fraiche is sooo good in everything and especially with intense flavors like sundried tomatoes. Yum!! 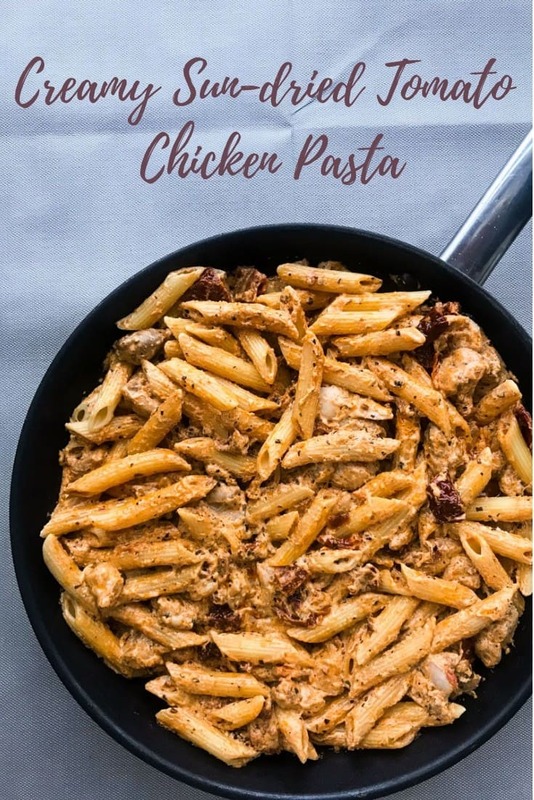 I absolutely LOVE chicken with sundried tomatoes and pasta! What a gorgeous recipe…especially with Crème Fraiche…bonus!! So glad you liked it! Yep creme fraiche is soo good I love it! Sometimes we find the best dishes by accident, in the kitchen! Thank God your found this one! I can’t wait to try it! Right?! It was an instant favorite and I know I’ll be cooking it for years to come! So glad you liked it as well! I’m mad about creme fraiche, from living in France as there was no proper cream. This dish looks so comforting and will be on my Friday night list! Isn’t it wild how sometimes the best meals come from ‘oops’es – this one sounds excellent. 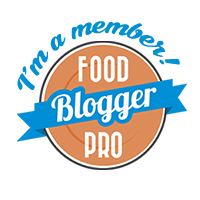 Anything with crème fraiche has got to be delicious – I am going to try this over the weekend, thank you! Yeah, so true! Or when you’re just throwing stuff together at random and then when you try to recreate it you have no idea what you put in it the first time around… Thanks for commenting, so happy you liked it! Thank you! Hope you try it! Oh YES that sounds like an amazing twist! Please let me know if you try it & how it turns out! You’re very welcome! Hope they like it! I had no idea what crème fraiche was, LOL! DO you know what we could do to make this just a little creamier? 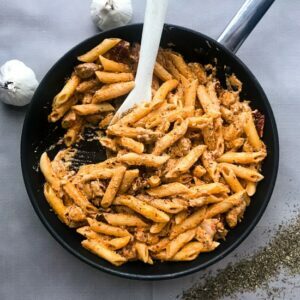 SUn-dried tomatoes with a creamy combo are my favorite! Haha might be more of a European thing! I use it all the time! It actually turns out really creamy with créme fraiche – for me at least – but you could also use cream of course. If you do I’d suggest adding some pasta water at the end with the pasta, so you get that starch and a super creamy sauce. Let me know how it turns out! 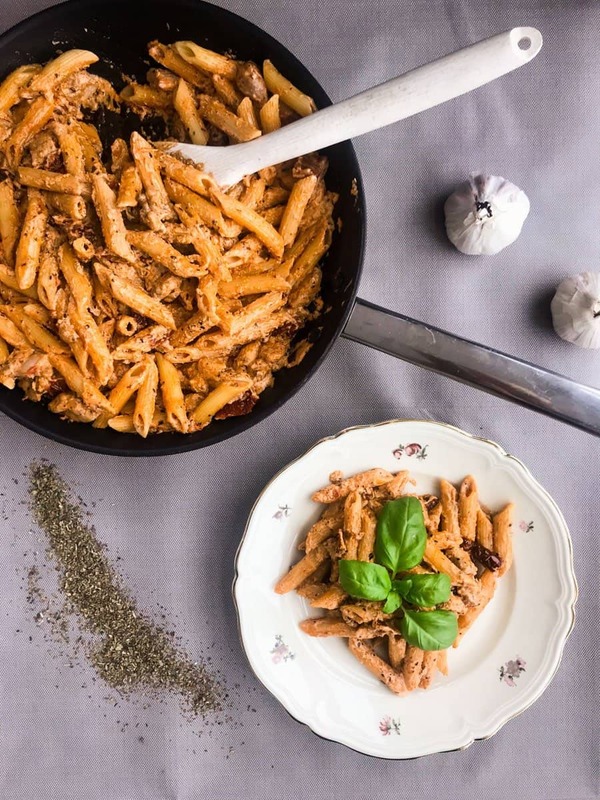 I’m fond of pasta and your sun-dried tomato chicken pasta looks incredibly delicious! It will be a great hit in my family. Thanks for sharing the recipe with us! You are so welcome, Ana! Thanks for commenting! Thank you, Kay! Yeah it’s actually better than what I planned – love when that happens! 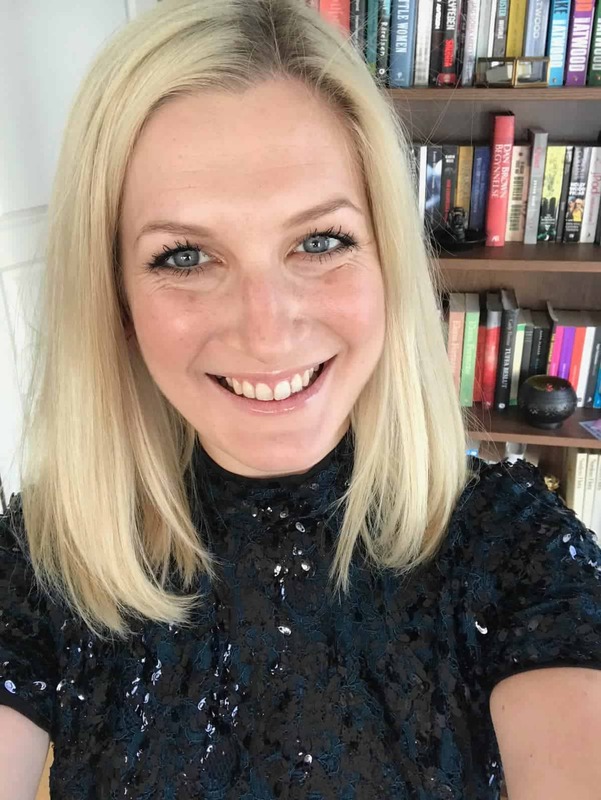 Thank you, Justyna! I had such troubles coming up with a name but now I’m very happy with it! I love chicken and pasta with a combination of these and additional ingredient flavors it will surely delicious. Thank you for this happy tummy dish.